Gorgeous male card, I love the colours you have chosen. Thanks for joining us at SSC. What a fabulous card! I love your color choices and the background papers you used! Great attention to all the fine details you've added! Your image is just beautiful and I haven't seen anything like it before. great card! Very sweet! Love all the detail. Thanks for playing. Du lager så flotte kort Anne Bente og du er en DRONNING til å scrappe! 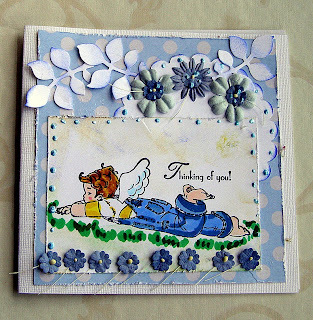 What an adorable card, love the flowers, the scalloped embellishment, the dots on the images..so cute! 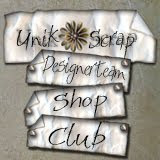 So glad you could join us this week at the Stamptacular Sunday Challenge! Great card! Love all the flowers and you've colored the image so nicely! lovely card, love the image and all the flowers, and the backing paper. Thanks for joining us this week at SSC. Hope you'll join us again. For et flott kort! WOJ stempelet er perfekt for et guttekort, og layouten din er helt super! takk for at du deltar i utfordringen til SSC!